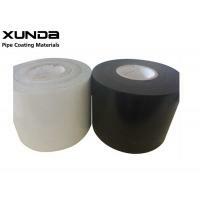 3ply Inner defines the requirements and tests for Tape used for Coating over the ditch and repair coating of buried steel line pipes using cold applied Polyethylene tape. 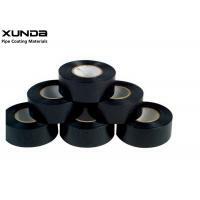 All tapes shall be designed and manufactured for a continuous working temperature of up to 50o C.
i) Adhesive : Inner layer of butyl rubber. 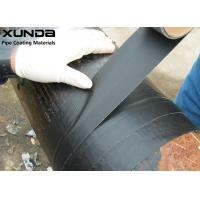 ii) Backing : Outer layer of Polyethylene (PE) plastic. 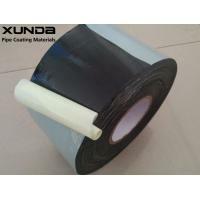 3.1.1 The inner wrap tape shall be two ply plastic tape consisting of stabilized polyethylene (PE) base of outer layer (backing) with a layer of butyl rubber (adhesive) applied on one side. 3.1.2 The thickness of plastic base shall not be less than 13mils. 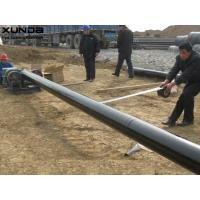 Thickness of butyl rubber shall not be less than 12 mils. 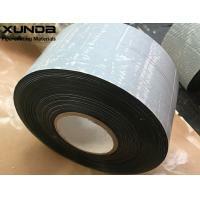 The total thickness of the tape shall not be less than 25 mils. 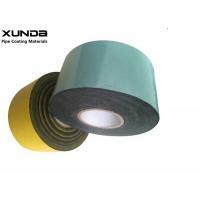 3.1.3 The inner wrap tape must be compatible with the properties of the primer and the properties of outer wrap tape. 3.1.4 PE backing colour shall be black. Adhesion to primed steel at +23oC at 300 mm/min. 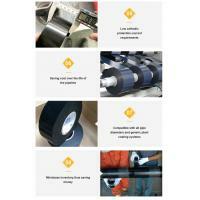 All tape shall be tested in accordance to ASTM standard(s) latest edition and with the appropriate testing reference number for its superseded number. 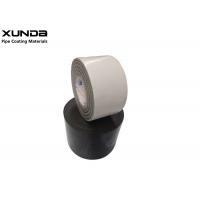 No specification and testing procedure not referenced in this specification shall be considered authorization to change or to revise the tolerance, material testing or physical and technical properties noted in this specification. 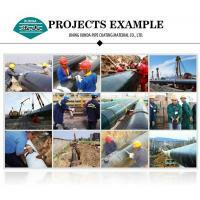 - Relevant manufacturing standards and specification. 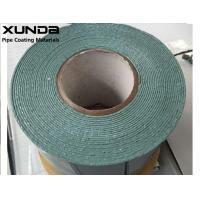 6.2 All materials not so marked shall be deemed to be suspected and shall be removed from site and replaced by the Manufacturer at his own expenses. 7.1 The Manufacturer(s) shall posses their Quality manual, the Quality System Implementation and test plans. Fulfillment of these requirements of the manufacturer(s) shall be accredited by a recognized authority ISO 9001/ISO 9002/ BS 5750: Part-1/EN 29001/EN29002. 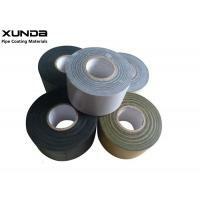 7.2 Test Reports of offered Polyethylene Tape from internationally recognized independent Testing Laboratory as per Testing Standards specified in the Technical Specification covering all the properties.